Some pretty crazy things have been happening in the BASE jumping/flying things world in the past year or so- Felix Baumgartner skydived from space and broke the sound barrier– Gary Connery landed a wingsuit with no parachute, Alexander Polli flew his wingsuit through a very small hole, and so much more. In just the 6 years I’ve been BASE jumping I’ve seen so much progress in the sport. It’s a really cool time to watch things evolve with new technology in gear, ultra-lightweight parachute systems, and new wingsuit technology especially- it really opens up some doors for exploring new terrain. It’s really an amazing time to be in the sport. 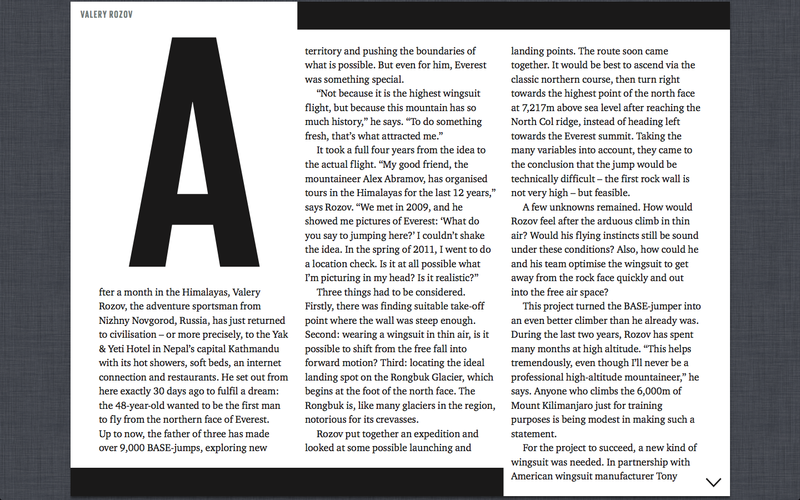 Last month Valery Rozov became the first person to ever fly a wingsuit off Mt. 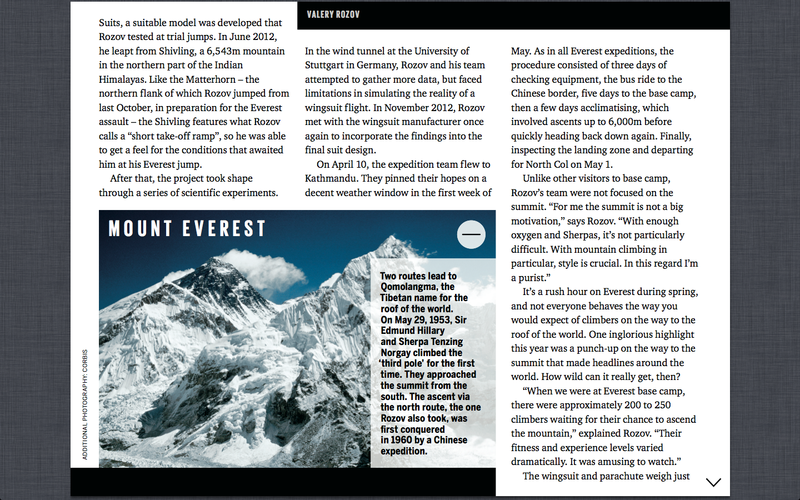 Everest, which broke the record for the highest altitude BASE jump ever at 7127 meters above sea level. Insane!!! I love the adventure aspect of BASE jumping. Some of my all time favorite jumps have all had some other adventure aspect incorporated into it- like climbing a desert tower to get to a jump, or skiing a line into a BASE jump. I am so inspired by this crew- making a goal and going through all the planning, addressing the variables, etc, to make an expedition like this possible. I got the chance to check out his story and interview with my friends over at Red Bull- and wanted to share it with you. 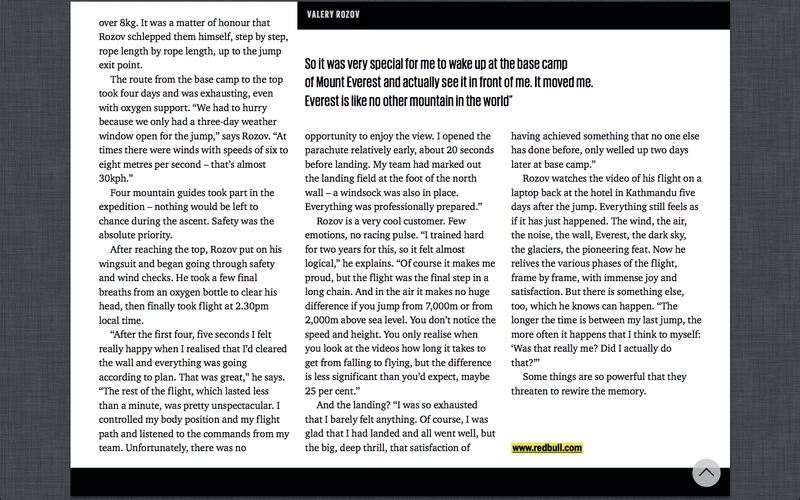 It will come out on the RedBulletin (Red Bull’s monthly print magazine and tablet app) later this week- so this is an early sneak peak at the interview. Sweet!